Call for Submissions Extended to October 31! Nashville (October 8) – The Fall 2018 Give A Note Foundation Music Education Innovator Award – honoring the most creative and effective school music programs – is pleased to announce the deadline for entries is now extended to October 31, 2018. 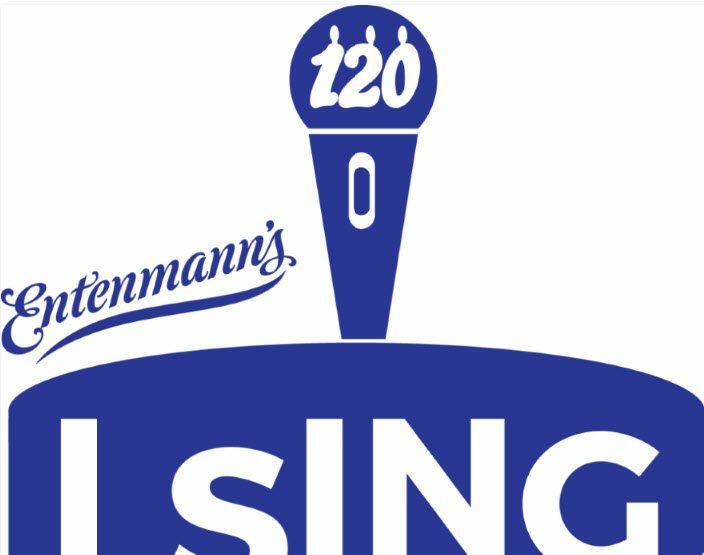 Music educators can submit proposals that utilize innovative and sustainable strategies in non-traditional or traditional primary and secondary (grades 1-12) with the goal of recognition in the form of a $4000 grant. The goal is to reward creative music programs that attract students not typically enrolled in music education courses, thereby increasing access to music education through diversity in curriculum and approach. Give A Note Foundation provides support to nurture, grow and strengthen music education opportunities to students, schools and communities throughout the country. 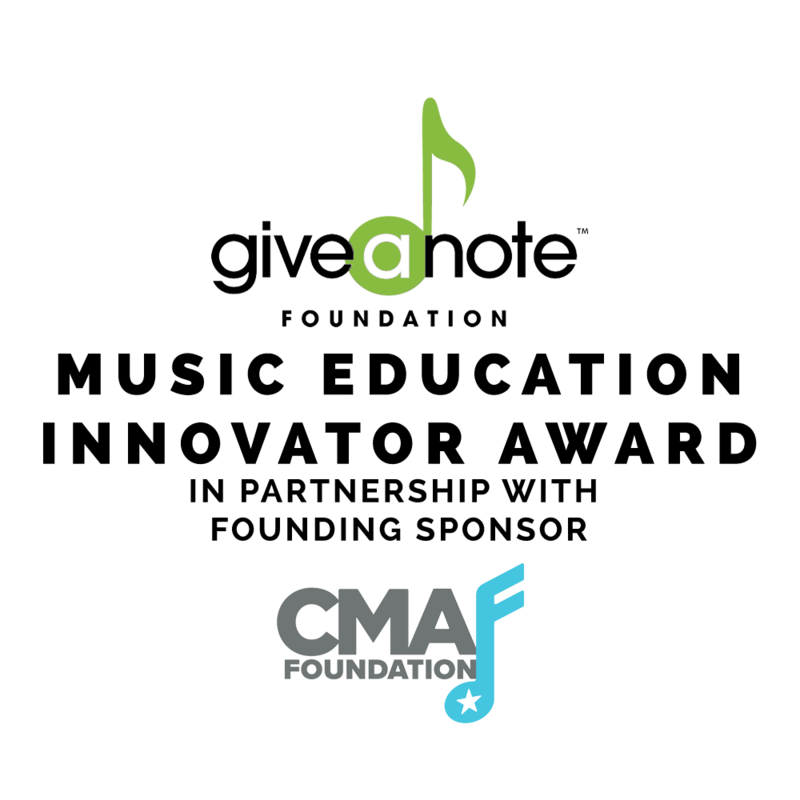 With the support of Give A Note’s founding sponsor, the CMA Foundation, awards are granted to schools with programs that have significant potential for using the $4,000 grants to build on programmatic successes to date, in efforts to create lasting change in a school or district. 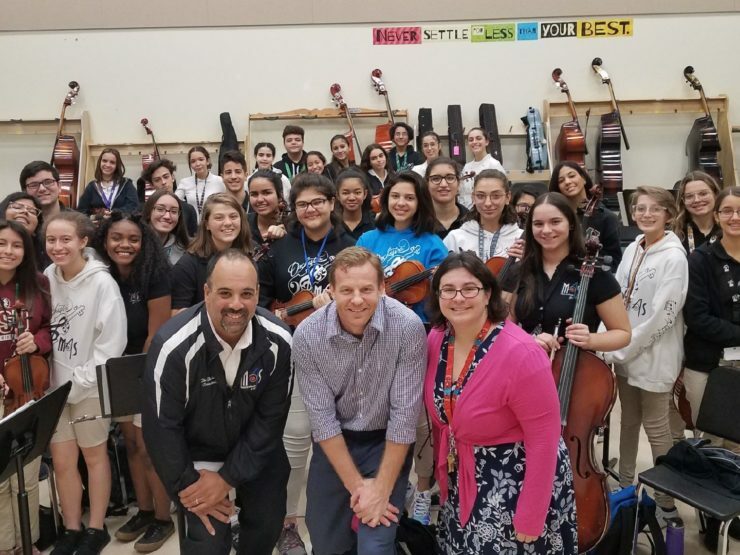 Winners will be invited as special guests to CMA Foundation’s Music Teachers of Excellence Awards dinner in Nashville, TN in May 2019 and to present on their school’s innovative program to attendees at the 2019 NAfME National Conference (all-expense paid). GIVE A NOTE Foundation 501(c)(3) provides support to nurture, grow and strengthen music education opportunities – every student, every school, and every community. Founded in 2011 with an initial investment from our partner 21st Century Fox and the TV show GLEE, Give A Note increases access to quality music education for more students, especially those in urban and rural communities where funding is scarce. Our Music Education Innovator Award recognizes teachers who have developed creative, effective in-classroom programs and provides ongoing support to encourage lasting change within a school or district. Music Teacher Notes offers teachers an opportunity to apply for funds that will enable them to serve more students and significantly improve the music education experience in their classrooms. Thanks to our music and entertainment partners, the CMA Foundation, 21st Century Fox, Radio Disney and the National Association for Music Education (NAfME), Give A Note has awarded grants in excess of $1.2 Million in support of music education.